Sondra Douglass brings refreshing, creative ideas to real estate. Her positive outlook on life is infused into every client relationship, and most turn into friendships lasting long beyond the day of closing. Her years of service to Lake Forest make her an excellent resource for new homeowners who need assistance with community integration and introductions. Whether working with buyers, sellers, renters or investors, Sondra proactively anticipates each variable to the transaction, and potential obstacles which could hinder success. She greets her clients with a warm smile, genuine interest, vast experience, highest integrity, and the know-how to achieve their real estate goals. · Precious “personal time” includes fitness, running, yoga and reading! "Sondra Douglass is by far the best real estate agent we have ever worked with. We had a relationship with another realtor for over 20 years who handled the sale of our house in New York, and Sondra is an even better agent than our friend. Sondra was patient with us throughout, really represented our interests in the transaction, advised us on how to get the best price for the house, guided us through the inspection, assisted in the negotiations, worked with our attorney and with the lender, and went to town hall to purchase our transfer tax stamp. In fact, Sondra showed us houses on the morning she was leaving for her family vacation. 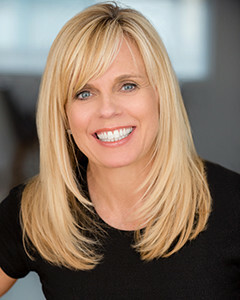 Her commitment to her clients, her superior knowledge of real estate transactions, and her insiders understanding of the Lake Forest market set Sondra apart. My wife and I can truly say that if you are looking to buy or sell a home in Lake Forest, Illinois, you are not getting the best if you are not working with Sondra Douglass."